(head,body, clothing &shoes are not include). Baby Lala' is limited edition love to dance! 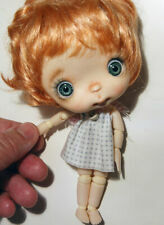 She has an 11cm body ,eyes ,eyelashes,soft mohair wig and cotton handmade dress. Pukipuki size outfits. Outer Size 2.2cm long x 1.1cm width. Inner Size 2cm long x 0.8cm width. Two of them need their arms attached and all of them need TLC. and clothes. Note:This is just a Single head,not include the face up. LOL Surprise Spice Doll. From smoke free home. LOL Surprise Boogie Babe and Lil Boogie Dolls. From smoke free home. 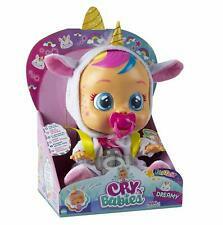 Discover the magical world of Cry Babies Magic Tears! LOL Surprise Angel Doll. From smoke free home. Individual painted on eyelashes and a full rusty red closed mouth. Eyes are fixed. This doll's clothing is old, age unknown. Cream sheer fabric dress with blouson top, lots. She did a wonderful job with this doll. Baby Erida' is limited edition love to dance! She has an 11cm body ,eyes ,eyelashes,soft mohair wig and cotton handmade dress. Pukipuki size outfits. Outer Size 2.2cm long x 1.1cm width. Inner Size 2cm long x 0.8cm width. Condition: Genuine dolls, as picture ! 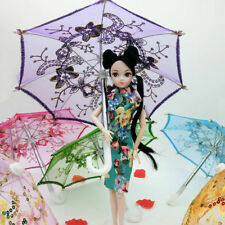 Material: Made from high quality PVC;. Color classification : skin color female ferrite. Style: movable joints. Material PVC. What you see is what you get ! Size: about 3" tall;. Head,body & shoes are not include. 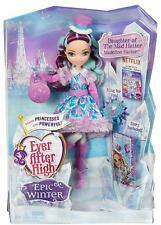 BRATZ Twins Dolls ~ Phoebe & Roxxi ~ Released (2004) New In Box! Free Shipping!